Windows 10 has been with us for quite some time now, particularly for anyone who has been trying out the Insider builds since the beginning. Many people, myself included, have been disappointed with Microsoft's latest operating system but perhaps it's time to re-evaluate. Have I got used to the things I didn’t like? In some cases, yes. But there are still a number of areas in which Windows 10 falls short of the mark. 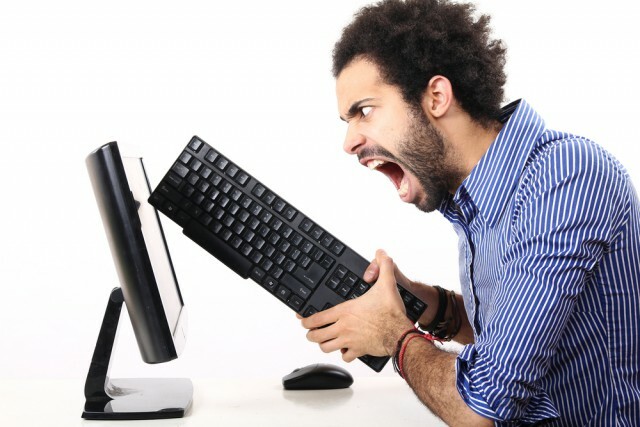 So here are seven things that piss me off about Windows 10; one for every day of the week! Why? Just... why? Microsoft has tweaked Metro/Modern/Store apps so many times over the years to make them more like regular desktop apps that they may as well be just that. Apart from the fact that they have universally ugly interfaces and embrace blank space like a drug. I'm yet to see a Store app that doesn't look like it was designed both for and by a six year old. There's a place for sparsity, but it has a tendency to stand in the way of productivity. Sure, there's the promise of cross-device compatibility, but who cares about Windows 10 mobile? This was meant to be one of the great features of Windows 10, but it is such a huge disappointment. Multiple notifications from the same app are not handled well. Could Microsoft not have looked to Android and iOS to get an idea of how to do things properly? I'm all for doing things differently when appropriate, but it has to make sense. The 'quick' access to settings and toggles is another space-eater. Everything seems to take up twice as much space as it needs to. It would also make sense to allow for a degree of customization here, or even the ability to add shortcuts of one's own. Come on, Microsoft: give people choices! What is Microsoft's obsession with wasted space? Tiles in the Start menu are an excellent example of a design idea gone horribly wrong. Static tiles are, essentially, just huge icons that take up too much room, meaning that it is not possible to display as many items. This in turn means more scrolling around and less productivity. Live tiles are just as big, if not even bigger, but serve up information so slowly as to be pointless. Seriously, someone needs to explain to me the point of news headlines being flashed up in a live tile. Am I supposed to sit with the Start menu open to see the latest news? Or just hope that I see something I want to read in the two seconds I tend to have the Start menu open? Same goes for inbox live tiles and countless other examples. If I want to see that sort of information, I'll launch the appropriate program or website. While there have been a few changes here and there, Explorer remains largely unchanged since the days of Windows 95 -- and that's certainly not because it is perfect. How an option such as a tabbed interface is still lacking is beyond me when you consider how long and how loudly people have been asking for it. Firing up Explorer feels like using a 20 year old piece of software. Transparency is a big issue these days, and with the ever-present threat of malware, viruses, and the like, people like to know what their computers are doing. If anything gets installed, it makes sense to want to know what it is and what it is doing. Microsoft disagrees. When it releases updates for Windows 10, it may tell you what the update does, it may not. That's not good enough. People have a right to know what is being done to their machine -- don’t get me started on the forced downloading of Windows 10. The decision not to include information about updates as standard is a serious misstep. Microsoft may yet change its mind, and I can only hope that this does happen. In failing to provide this information, Windows users are taken to be uninterested, dumb consumers who don't want or need to know what's happening. Jokes about Windows 8 and Windows 10 being Frankenstein's monsters have worn a little thin, but Microsoft does demonstrate very confused -- and confusing -- thinking in its OS design. Context menus are an excellent case in point. I've lost count of the number of different looks they have depending on where they appear. Yes, I realize that this is related to the context in which they appear, but the context should really influence the content. Does it make sense that right-clicking on the Start button or taskbar I see a dark context menu, but clicking on icons in the notification areas -- including those relating directly to Windows, such as the Action Center -- bring up a light menu. But even then there is weirdness. Right-click the volume icon and an old-school context menu appears -- i.e. one with sensible line spacing. Right-click on an item on the desktop and a light context menu with insane spacing is used (this is the case in build 10532, at least. And yes, I am aware that this is a preview build). Just go away and die already! You're just Internet Explorer in fancy pants and you weren't even finished in time for the launch of Windows 10. Seriously, when a company promotes a browser so much, heralds it as the future of life online, kills its predecessor, you'd think it would pull out all the stops to make sure it was actually completed. Yet here we are months after the launch of Windows 10 and it is still not ready. Where is the plugin support that's been promised for so long? Everyone has lost interest now and long since moved to a proper browser anyway.